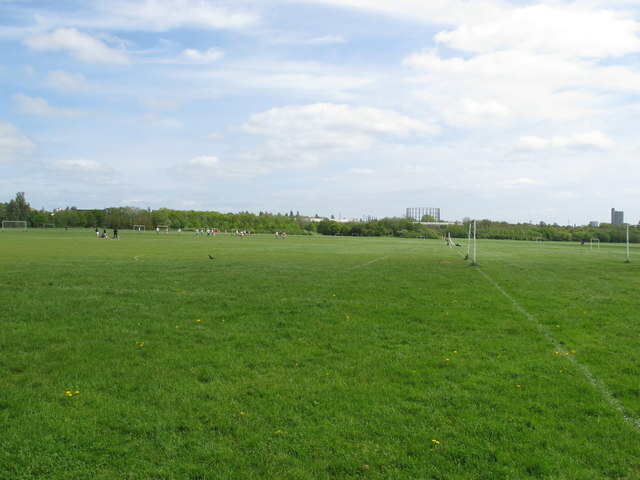 View from central copse, looking along the goal line of one of the many pitches, to goalposts, and along this line to Kensal Green gasometer. More pitches with players on the left. View to Trellick Tower far right.